It’s senior year, and Miranda Black’s best friend, Syd, has run away—suddenly and inexplicably, leaving behind nothing but a pink leopard print cell phone with a text message from the mysterious HIM. Everyone wants to know why Syd left, but the truth is, Miranda has no idea. When Miranda’s mother abandoned her as a child, Miranda had found shelter in her friendship with Syd, who wore her own motherlessness like a badge of honor. Now Miranda’s been left behind again, left to untangle the questions of why Syd left, where she is—and if she’s even a friend worth saving, all while stumbling into first love with the most unlikely boy in school. How do you take on the future when it feels like so much of your past wasn’t even real? Carrie Fountain’s poems have appeared in Tin House, Poetry, and The New Yorker, among others. Her debut collection, Burn Lake, was a National Poetry Series winner and was published in 2010 by Penguin. Her second collection, Instant Winner, was published by Penguin in 2014. 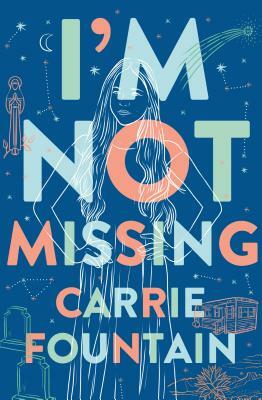 I'm Not Missing is her debut novel. Born and raised in Mesilla, New Mexico, Fountain received her MFA as a fellow at the James A. Michener Center for Writers at the University of Texas at Austin. Currently writer-in-residence at St. Edward's University, she lives in Austin with her husband, playwright and novelist Kirk Lynn, and their two children.